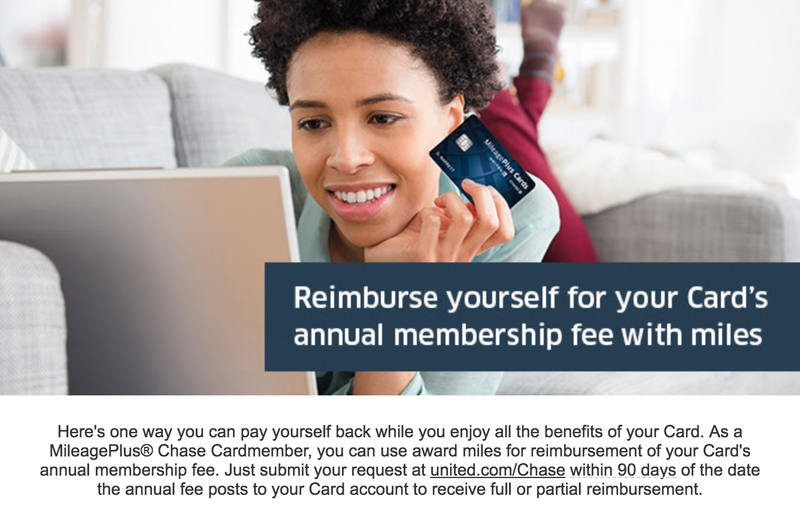 For years, United’s offered the ability to use your MileagePlus balance to cover the annual fee of a co-branded credit card, including the United MileagePlus Explorer Card, the United MileagePlus Club Card and even the United MileagePlus Explorer Business Card. Over the weekend, the airline sent out an email encouraging cardholders to hand over their miles to offset the fee. Don’t do it — it’s a bad deal. Here’s why. First of all, I’m a big fan of United’s co-branded cards. The United MileagePlus Explorer Card is a must-have, in my opinion, since it opens up a ton of economy award space and gives elites the opportunity to score free upgrades on awards. I was happy to pay the $95 fee for those perks alone, until I upgraded to the United MileagePlus Club Card, which is currently offering a 50,000-mile bonus. The latter offering carries a $450 annual fee, but includes a full United Club membership, which I’ve used to access lounges dozens of times this year. If I don’t want to pay that $450 fee, United’s offering to waive it in exchange for 56,250 miles, which works out to exactly 0.8 cents per mile — roughly half our valuation, and almost enough for a one-way business-class ticket to Europe. Yikes! Of course, you could do worse — for example, my new friend Tom Stuker redeems miles for gift cards, typically at a rate of just 0.64 cents per mile. But Tom’s racking up millions of redeemable miles each year, and he doesn’t often redeem them for award flights, so for him that makes a bit more sense. In Tom’s case, redeeming miles to cover a card annual fee actually offers a higher return. Assuming you’re not Tom, though — or someone who has more miles than you know what to do with — it makes far more sense to redeem your hard-earned points for flights than it does to burn them on a credit card’s annual fee.